The suit accuses the special counsel of blackmailing him to lie as part of a "legal coup d'etat" against President Donald Trump. 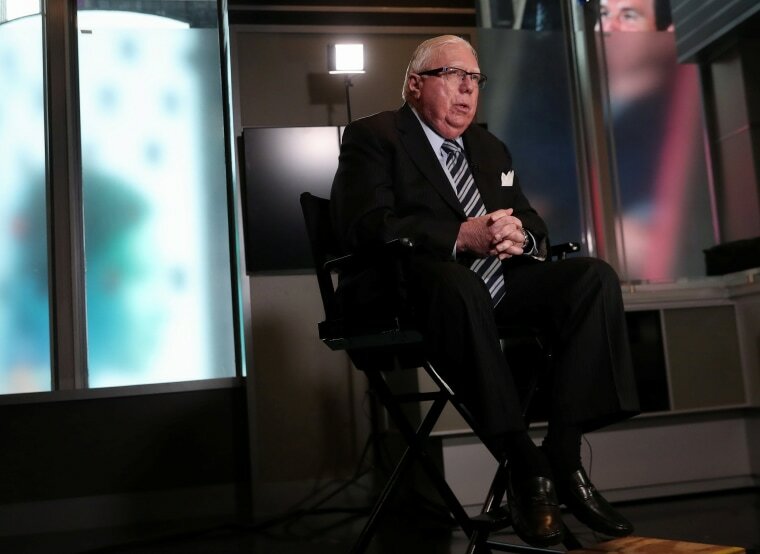 The conservative writer and conspiracy theorist Jerome Corsi filed a lawsuit on Sunday accusing special counsel Robert Mueller of blackmailing him to lie about President Donald Trump in the investigation of Russian interference in the 2016 election. The suit also accuses the special counsel's office of having threatened him with prison unless he agreed to testify falsely that he served as a liaison between WikiLeaks founder Julian Assange and the Republican political strategist Roger Stone, who was an adviser to Trump's presidential campaign. NBC News reported last month that Corsi sent an email alerting Stone that WikiLeaks planned to release damaging information about emails stolen from John Podesta, who was chairman of Hillary Clinton's presidential campaign — two months before WikiLeaks actually did so. And it accuses the FBI, the CIA and the National Security Agency — all of whom are named as co-respondents — of having placed Corsi under illegal surveillance "at the direction of Mueller and his partisan Democrat, leftist, and ethically and legally conflicted prosecutorial staff." The goal, the suit alleges, was to bring about a "'legal coup d'etat,' negating the will of the American voters who elected Donald J. Trump on November 6, 2016." The suit repeats Corsi's contention that he never had any direct knowledge of WikiLeaks' plans, arguing that he simply deduced the coming email dump using his talents as a journalist. Stone has said he had no communication with Corsi about Podesta's emails until after WikiLeaks published them.